This year the Winter Olympic Games were on in Sochi in Russia from the 7th to the 23rd of February. In Australia, most people would acknowledge that both the summer and winter Olympic games are prime couch potato time. If there's one thing Australians excel at, it is watching other people do sport, crowding into massive sporting stadiums to watch the AFL, spending our weekends at suburban sporting grounds watching our kids play cricket, soccer, rugby or football or watching professionals battle it out on TV from the comfort of our couch in our own lounge rooms. Knitters the world over look at it a little differently though. All this sport on TV is a good excuse to settle in for some quality sport watching and knitting time. You get the pleasure of watching elite athletes perform at their very best as well of lots of hours to create your next knitted masterpiece. The Olympics is the pinnacle of this intersection of awesome sport on TV and an excuse to sit in front of a TV for hours at end, knitting needles in hand. Knitters the world over cast on in solidarity at the start of the opening ceremonies of an Olympic games, challenging themselves to complete awesome feats of knitting brilliance and endurance whilst the games run. It's called the Ravellenic Games. I find the Winter Olympics particularly inspiring. It's all that snow and ice and spectators swathed in scarfs and awesome knitted beanies. 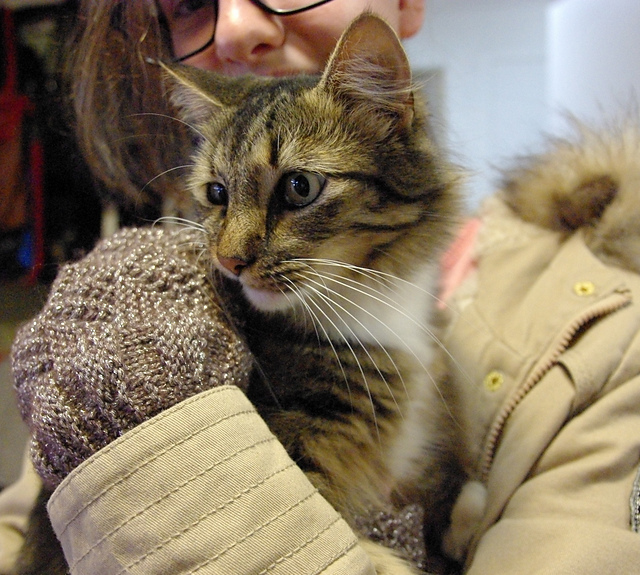 Knitted garments in a deep snowy winter aren't just fashion accessories; they are essential to human survival. So I can't watch the winter Olympics and not knit (even if it is the tail end of summer in Australia). 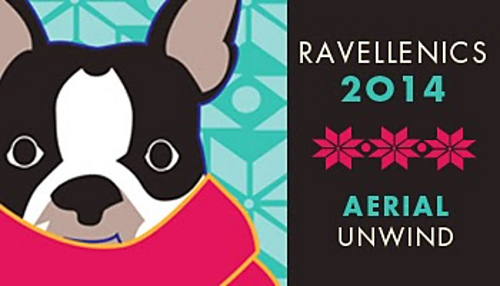 So I joined in with my fellow knitters (and crocheters) around the world, signed up for a team and plotted and planned for my medal aspirations. I trained hard, knitting and crocheting consistently through the heat of an Australian summer. I designed a new Ravatar. I found team TARDIS and climbed in with all the other Who fanatics and the fun began. And I won three medals. To win a medal you need to complete a nominated project within the time frame of the Olympics and tick off a whole heap of checklists on Ravelry including posting photos of the finished item and tagging your project pages appropriately. The first was for frogging a project, Arundel. This was a project for future Doctor daughter. I loved it, still love it in fact (and I hate it at the same time). I love the pattern. I love the colour combination. I love the construction (bottom up semi seamless). I love the lace pattern. I think this is an example of the unseen perils of using stash wool. I used some Paton’s Katie wool which has to be from the late 70s, early 80s. I thought I had enough. I had enough balls (but because they are so old they had no yardage listed). I knitted the body up to the armholes (twice). The first time I had the gauge off just enough that the length of the armholes would have been too short. So I went up to a 4.5 mm needle. I divided for the armholes and knitted to the shoulders and joined them up. I started the sleeves. (The pattern has short sleeves). AND I DIDN’T HAVE ENOUGH YARN. (I swear evil yarn fairies made off with the extra ball I thought I had). I threw it in the naughty corner and stomped off in disgust for a few months. Then I came up with three plans. Knit the sleeves in a different colour. (The doctor daughter vetoed this one). Frog it (I couldn’t bear to do this). Or three - turn it into a vest. I did eventually do this but was never really happy with it. Now the future Doctor daughter is seriously training for Dance worlds 2015, she is a lean mean fighting machine and this no longer fits. It came home for Christmas and heartbreaking decision was made to frog it. However, I needed the impetus of the Ravellenics to force me to do this. This is what it ended up as. (At least I have photos of the beauty of the original). And my project Steampunk on Toast successfully competed in both Mitten Moguls and Lace Luge. “Steampunk is what happens when goths discover brown”. 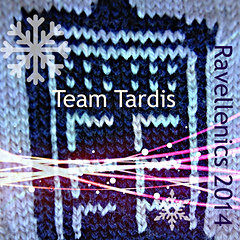 These are my first ever Ravellenics project for Team Tardis. I can see Victorian Clara wearing these. 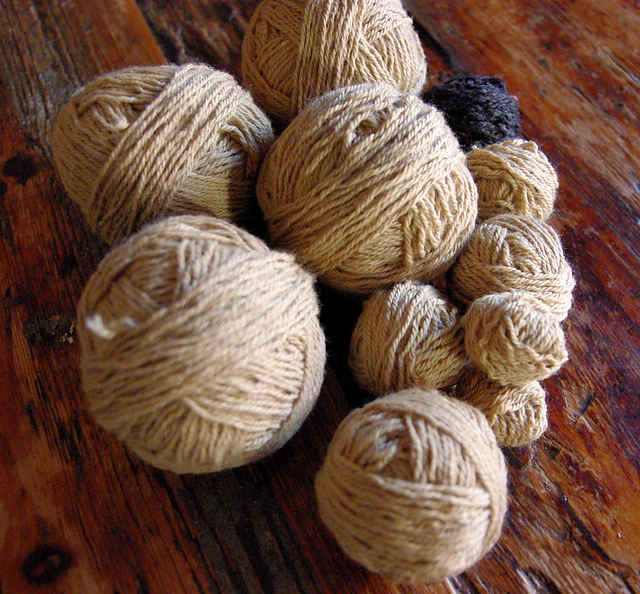 The yarn is a core of wool covered in a silvery acrylic mesh. Despite the glitter, it is smooth and not scratchy. 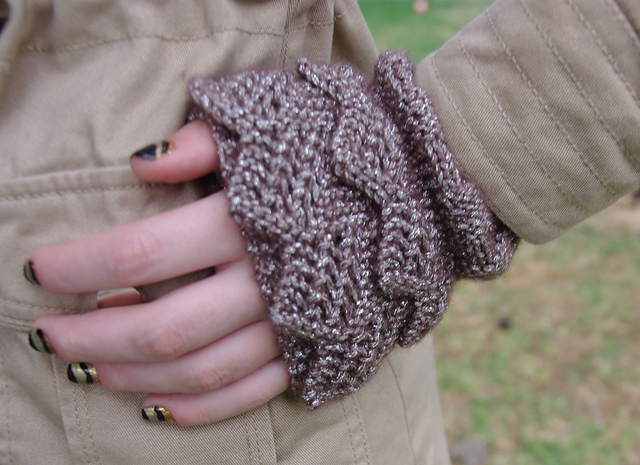 It also knits up incredibly smooth and doesn’t catch or pull. 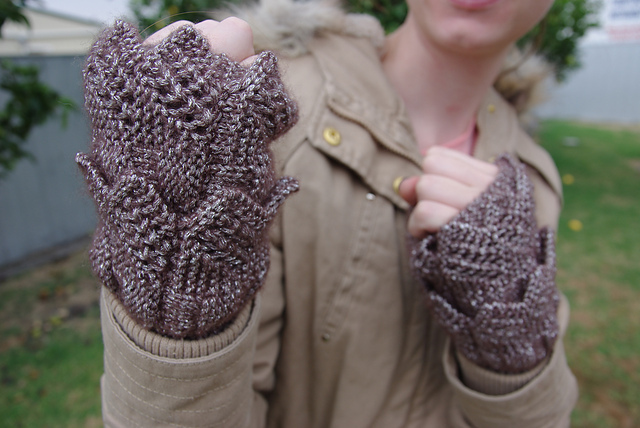 I swatched and made gauge and then cast on on the 8th February knitting the first garter stitch tube which forms the glove base the same day. I made a modification to the pattern when it came to joining up the tube. The pattern suggested leaving the stitches live and joining to the other side of the tube by sewing. I left the stitches live, turned to work to the inside and picking up loops from the cast on edge, knitted them together one at a time with the live stitches and cast off. I joined 30 stitches, cast off 10 stitches on the live edge only for the thumb opening and joined up the remaining ten stitches. On the 9th of February, I made the first lace frill, stitched the seam closed and stitched this onto the glove at the bottom of the thumbline whilst wearing the glove on my left hand. 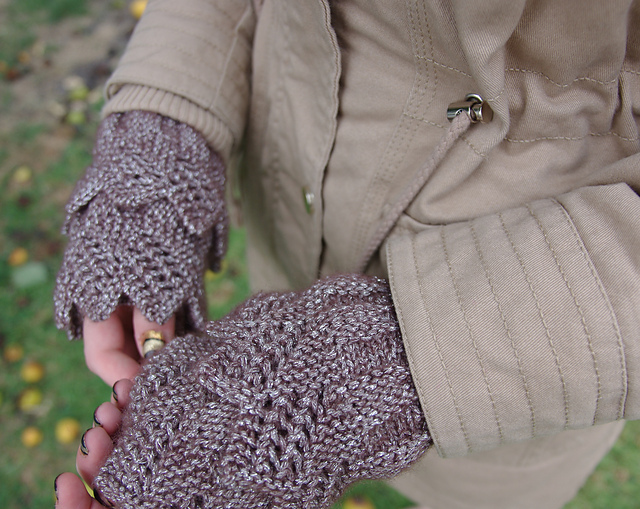 I did eight repeats of the lace rather than the seven suggested in the pattern just to give a little more length to reach comfortable around the glove. I also attached the frill wrong side out as I think the lace pattern is more defined this way. Cast on one or two new pieces each day and seamed as I went. I finished these on the 12th February 2014 about 10 pm whilst watching Olympics and the photo shoot took place on Saturday 15th February 2014. Thanks to Mel the hand model. And a I won a prize for playing along with Team TARDIS - beautiful shawl pattern called Bequin. This is my planned April project. 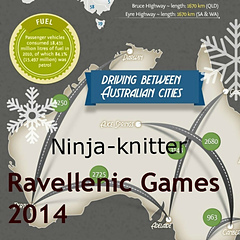 Knitting is clearly an integral part of the Winter Olympics. Even the Finnish Snowboard coach was caught on camera knitting at the top of the slope.